Automated communications specialist, ANT Telecom, announces it is working with single malt Scotch Speyside whisky distillery, Tamdhu to support the company in meeting its lone worker requirements and help it enhance communications across its site located in Northern Scotland. Prior to working with ANT Telecom, Tamdhu often had two or more people on any given shift, however this has changed over time and there can now be employees working alone on parts of the site. Due to poor on site mobile phone signal, staff also had limitations in raising an alarm if they had an accident and needed urgent medical attention. Moreover, it was difficult to quickly locate staff who were not at their desk, making the existing communication process both time consuming and unreliable. As part of its solution, ANT Telecom is providing Tamdhu with 25 DECT radio stations based around its site and 12 DECT handsets. Importantly, these handsets comply with ATEX regulations, which need to be adhered to during the distillery process. 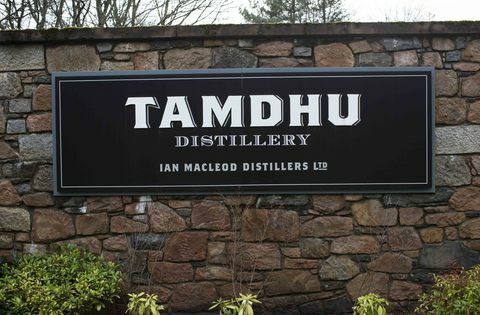 Sandy McIntyre, Distillery Manager at Tamdhu comments: "Within other roles, I had previously worked with ANT Telecom and therefore knew that they not only provide a excellent system, they also provide excellent support in the background. And, as we are so remote we are relying heavily upon their phones as a real means of protecting the health and safety of our operators on site, which is our number one priority." Whist some areas around Tamdhu's site are more remote than others, there was a vital need for the site to have a more robust communication system in place and that any employee working on their own has piece of mind that should they have an accident or are taken ill that help is close by. On a daily basis, employees are faced with a number of potential risks to their health and safety including, the movement of casks and the need to climb on top of tankers, working around water and coming into contact with chemicals. As the company deals with distilling, workers are also subject to working around high temperature distillation stills. ANT Telecom's DECT system enables employees to raise alarms by pressing a panic button should they get into difficulties, and in case they are unable to manually press a button, the system can be programmed so that an automated alarm is triggered. If an employee's phone is kept upright then it's ok but if they were to collapse and the phone was to fall onto its side for any period of time, the tilt mechanism within the handset can recognise when the phone is no longer vertical and within 30 seconds starts the process of alarming around the other handsets on or off site to get help to the individual. The system also provides an indication of where the casualty is located on the site which is extremely beneficial and saves crucial time in reaching the individual. To avoid false alarms a pre-alarm can also be set up to allow the employee to stop the real alarm from going out. "We did look at other providers, continues Sandy, however they did not provide a tilt mechanism in their handsets. For us, this is a very important feature of ANT Telecom's handsets because you can have a lone worker system whereby you call them every 2-3 hours to check if an individual is ok or ask them to dial in to the system every 2-3 hours but if you come off the phone and an employee then falls five minutes later, there is significant chance that they could be seriously hurt or unconscious by the time you call back. "Throughout the implementation process, we have received a high level of support from ANT Telecom, right through from the sales team, to them conducting site surveys and the Managing Director visiting the site to ascertain its size and what our best solution would be. To provide this level of service showed me the importance they place on their customers. The agreed timescales of installation and the commissioning of the system were also met. Furthermore, we have a local field engineer, which is key for us, as even though we know ANT Telecom can dial in remotely to check the system, having an engineer locally is extremely beneficial, when again we are so remote and so far north of Scotland. Knowing someone can be here within 3-4 hours is very reassuring." Crucially, any alarm raised via ANT Telecom's lone worker system will be logged and an audit trail can be assessed at any time. The audit trail can also provide useful documentation in case of an investigation. Furthermore, the system is designed to include additional important functions such as base station monitoring to ensure users are alerted if a base station goes down and communication or protection might be affected.